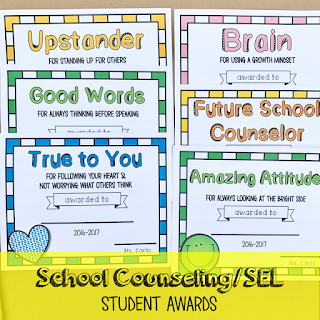 Each May I have the pleasure of attending (and sometimes facilitating) the end of the year awards for each of my grade levels. Getting to see my students celebrated for their growth and greatness is incredible, and I also love the chance to see and meet many of their parents. A few years ago, some of our related arts teachers began giving awards as well which got me thinking…could I give awards too? 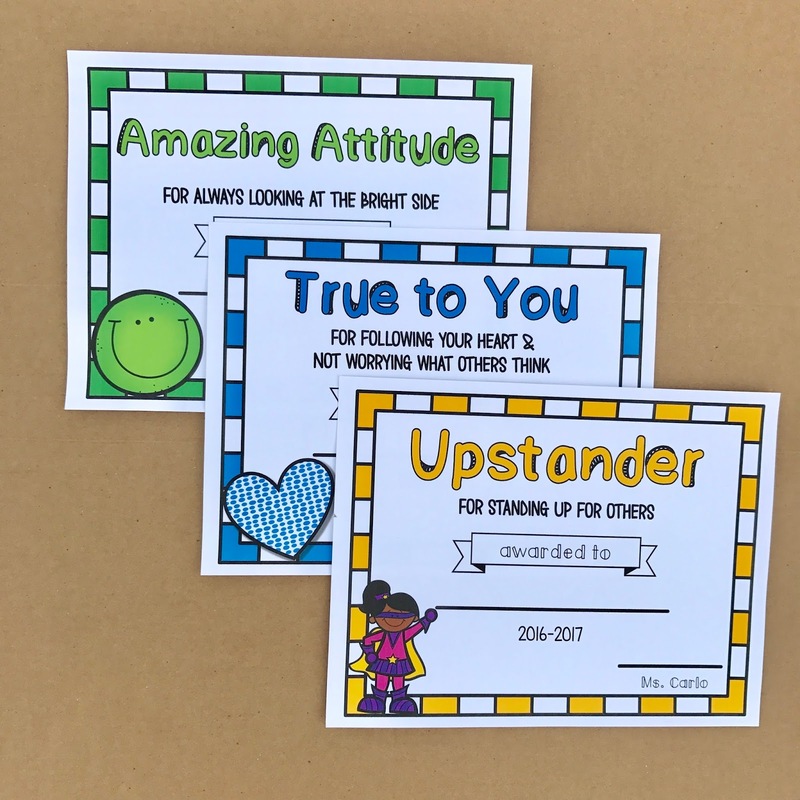 I worried at first that it would look like favoritism and that it could in some way damage the relationships I’ve built with the students and the role I play in their lives. 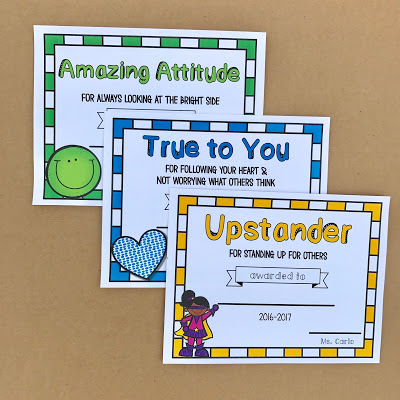 With some more reflection though, I realized the opportunity to honor social-emotional growth was worth the risk, and that having teachers nominate (and physically hand) the awards to the students put the focus back on the kiddos and off of me. 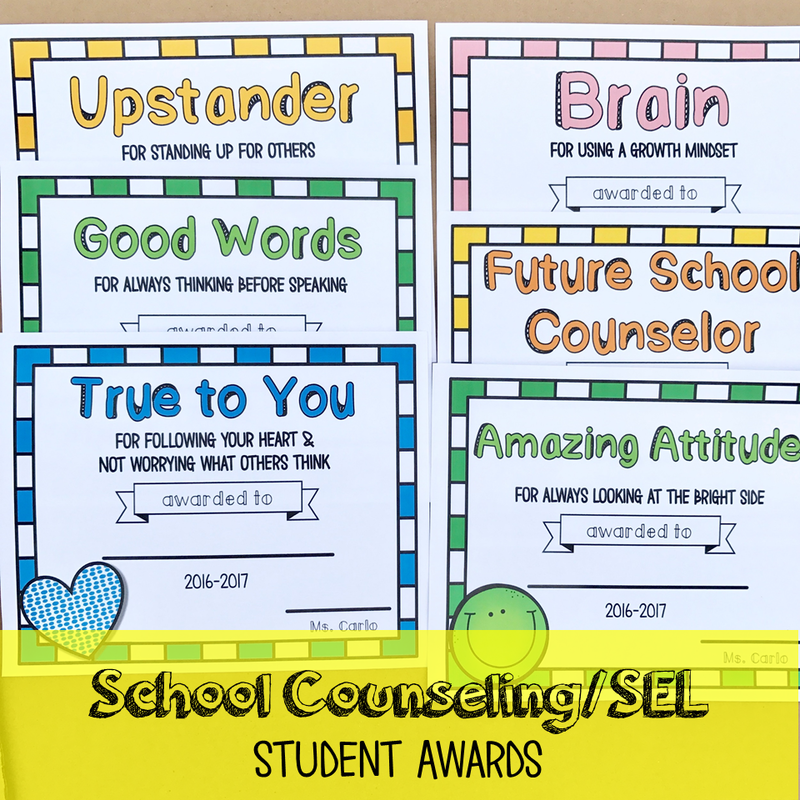 Enter: School Counseling/SEL Student Awards! 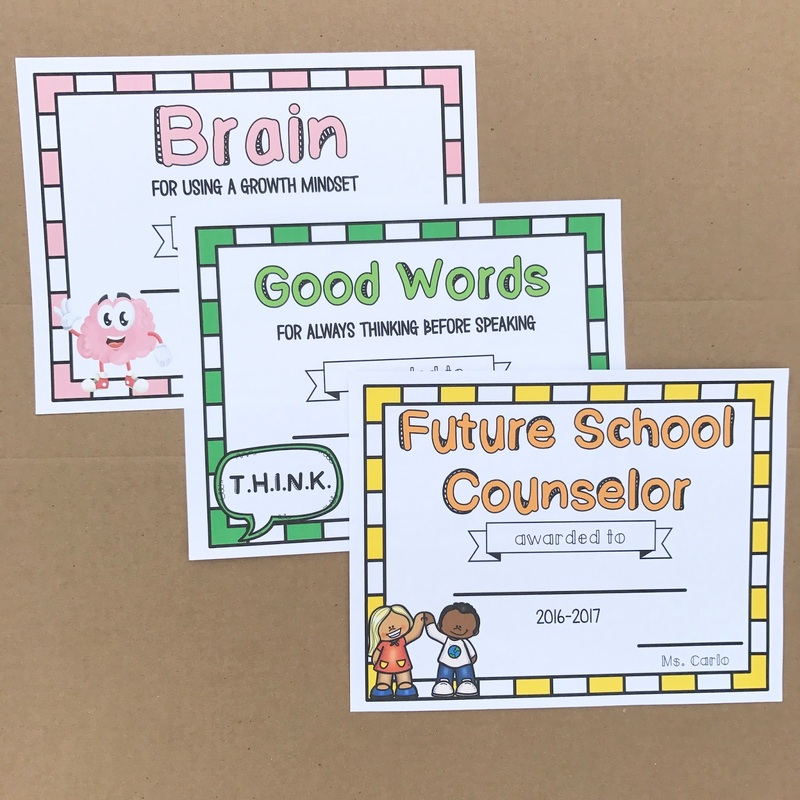 I created this growing set of awards to fit the main themes of this year’s 3rd and 4th grade Life Skills lessons (while trying not to overlap with our quarterly character foci).The unintended bonus of having these this year is that it makes the teachers’ jobs a little easier. 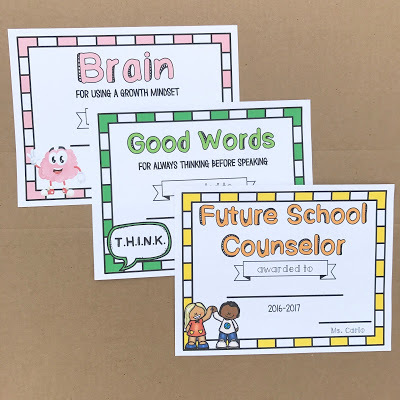 Our school has a policy that every students gets an award at the end of the year and sometimes our teachers struggle to come up with them. Thank you – you’re on the list! New blog posts, fast tricks, exciting ideas, and freebies – right into your inbox! Copyright © 2018 — The Responsive Counselor • All rights reserved.